recommendations are solely those of the Conservation Clinic, OCA and COAST, based on our current understanding of the context and circumstances of Long Island and its marine resources. 1. Local fishers and stakeholders on Long Island display impressive depth of local ecological knowledge concerning the resources of their island and its marine waters. For the most part, these local fishers and stakeholders also appeared to welcome the interest of BNT in providing enhanced resource protection. 2. Local fishers and stakeholders on Long Island recognize that the near-shore fisheries of the island have been depleted and that some tidal creeks and fishery nurseries have been damaged and are in need of restoration. 3. Local fishers express significant concern over the alleged presence of foreign fishing vessels depleting fisheries in offshore waters around Long Island and are interested in developing appropriate solutions to this complicated international issue. 4. Some local fishers had participated in BNT meetings to discuss MPAs on Long Island in 2009. These local fishers were apparently left with the impression that MPAs primarily signified the establishment of “no-take” zones. 5. Local fishers appeared unfamiliar with the term “multi-use” when used in conjunction with marine protected areas. When this term was explained by BNT as a “new management philosophy” that goes beyond “no-take,” the local fishers better received – even embraced – discussions about localized fishery and marine resource management. 6. Some local fishers expressed concern that results of studies conducted on the Long Island fishery and marine resources have not been systematically returned to the Long Island community. 7. The participatory mapping exercises along with the discussions during the meetings suggested that a multi-use marine zoning plan that includes local fisheries management rules could be implemented for the marine waters of Long Island. 8. The preliminary boundaries of a multi-use marine management area suggested by Ocean Crest Alliance generally conform to the boundaries that emerged from the stakeholder meetings, although the latter were considerably more detailed. 9. 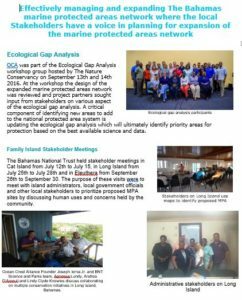 Strong support exists for enhanced protection of Dean’s Blue Hole, a source of considerable local pride. Dean’s Blue Hole likely has national and even international significance as a natural and cultural geological feature. 10. 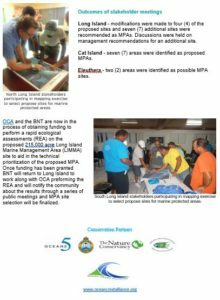 Local fishers and stakeholders appear to welcome the possibility of an on-island representative from BNT as well as the possibility of volunteer wardens with the authority to enforce fisheries regulations. 11. Local government representatives were especially interested in the potential to enhance terrestrial resources, including cultural resources and land-based birding opportunities. 12. In particular, local government representatives were enthusiastic about the idea of a “heritage trail” that celebrates Long Island’s unique cultural heritage and offers the potential to enhance island pride and tourism. 1. The BNT should consider moving forward with next steps in the process of defining an appropriate localized management regime for the marine resources of Long Island. The boundaries and resource areas identified through the participatory mapping exercises should serve as the starting point for these next steps, including any rapid ecological assessment. 2. 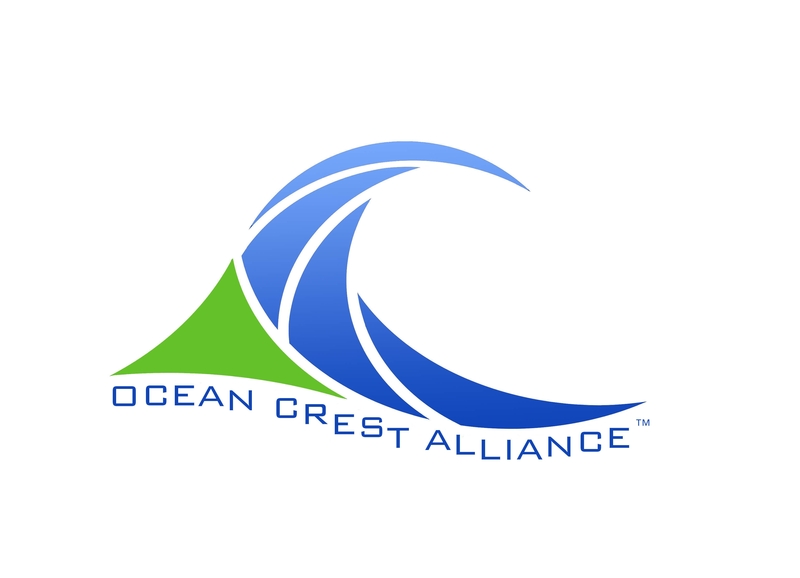 The Ocean Crest Alliance should continue to develop local stakeholder support for enhanced marine management on Long Island, including but not limited to the creation of a geographically described marine managed area. 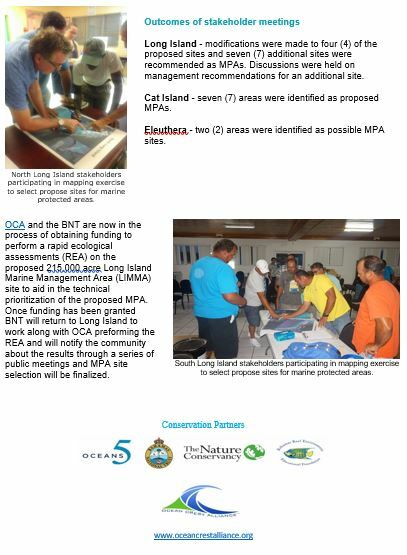 If the BNT and local stakeholders demonstrate commitment to the effort, OCA should continue to leverage technical assistance such as that provided by UF and Florida Sea Grant, and seek external donor support for activities that lead to enhanced management and/or the creation of a marine managed area that is financially sustainable. 3. The Ocean Crest Alliance should consider promoting a citizen science program for sustainable fishing on Long Island tailored to local fisheries and circumstances. A successful example of this was deployed in Tarcoles, Costa Rica, which later resulted in the establishment of an internationally acclaimed community-based marine managed area, authorized by law. 4. The BNT should consider designating the Crown Land that encompasses Dean’s Blue Hole as a National Park, or creating a protected area management category or other recognition that befits its national and international significance. 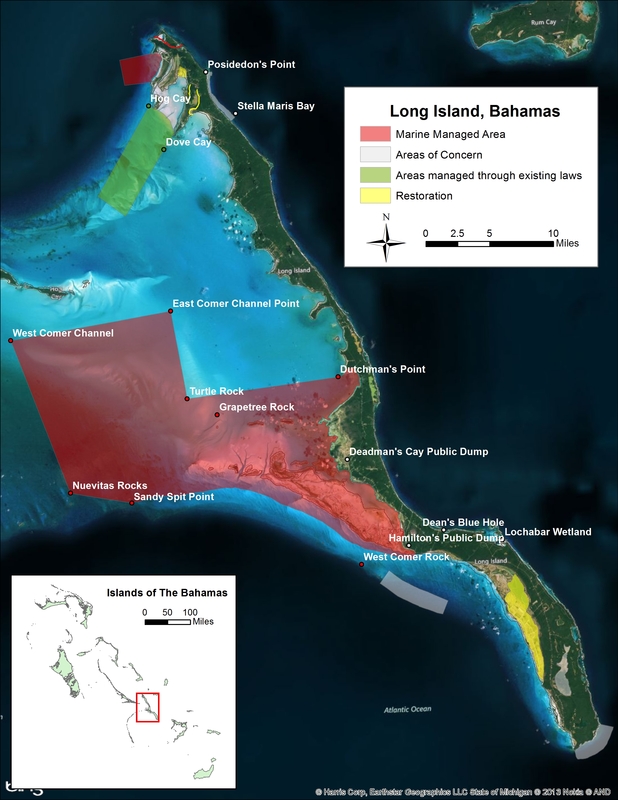 Consideration should be given to providing appropriate forms of land use protection on the private lands buffering Dean’s Blue Hole, whether these are included within a potential protected area or not, and whether a protected area or other form of recognition is even created. Public road access, including limited parking, should be acquired and maintained. 5. Regardless of whether BNT moves forward with a localized marine management regime on Long Island, the BNT should consider assisting the appropriate entities with the development of a restoration plan for damaged tidal creeks and fishery nurseries on Long Island. 6. The BNT should consider assisting the Local Government of Long Island with the development of a heritage trail with appropriate way finders and descriptive literature that promotes Island Landmarks and cultural and natural resources. 7. 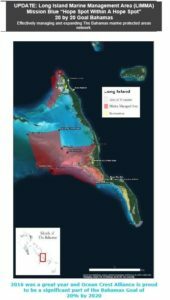 The BNT should consider working with local governments and local fishers to develop additional strategies to manage and defend Bahamas’ waters from depletion of marine resources by foreign vessels.